Consider the WBII as a one- stop- shop for women wanting to start or running a business that provides information, training, support, motivation and the network needed to succeed. Since its establishment in 2006 over 500 women entrepreneurs have actively participated in, and benefited from, this initiative, generating incomes, creating jobs and, for many, translating passion into viable businesses. Since our founding on 8 March 2006, more than 500 women entrepreneurs have actively participated in, and benefited from, this initiative, creating as many jobs. The WBII fills an important role in ensuring that women who may want to start a business have the information, training and networks they need to succeed. The WBII regularly offers a wide variety of opportunities where members can meet each other, exchange ideas, and improve their professional skills in order to make their business more successful. The possibilities are nearly endless, and include monthly networking events with a speaker on a business-related topic, Professional Development workshops for members; Business Development workshops run by members for aspiring entrepreneurs; an Annual Dinner in March to commemorate International Women’s Day; “Mastermind Groups”, where members meet in smaller groups to share, assess, and exchange ideas; and participation in local fairs and events, such as the ‘I am not a Tourist Fair’ in Amsterdam, and the ‘Ondernemersplein’ in The Hague, generating business contacts and leads. Though we communicate in English, it is by no means a network exclusively for native English speakers. 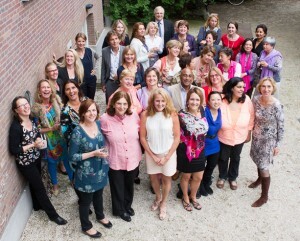 Our membership is truly international as well as Dutch, and currently includes women from over 25 countries, and from all walks of life. The WBII aims to facilitate the success of women in any line of work, and from any and all backgrounds, in creating new business ventures, expanding small businesses, sparking new ideas and cooperation, increasing profitability, and expanding employment opportunities. 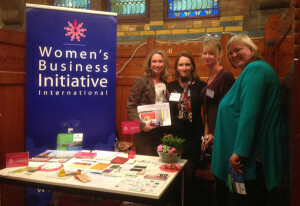 The WBII is a non-profit organisation, registered as a Dutch ‘Stichting’ (foundation), and relies on members’ contributions, the generosity of business sponsors, and fundraising initiatives, such as the calendar, for its existence and to offer programs and opportunities to our members. 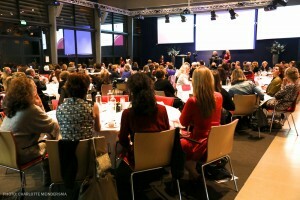 If you value our work, and want to be in touch with an active group of international entrepreneurial women, we invite you to consider becoming a sponsor. Please explore our website for information about our events, membership or sponsorship opportunities. A subscription to the monthly e-Newsletter is free, and open to all. You can register to receive the newsletter, here. The WBII would like to thank all of our friends, sponsors, members (old and new), and families for their ongoing support. We look forward to continuing and expanding our amazing entrepreneurial network!